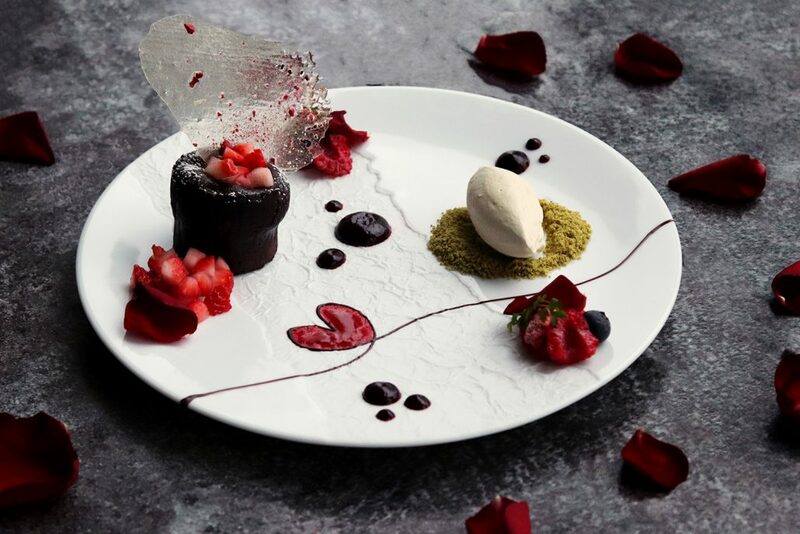 Woo your valentine with an evening at Miku. 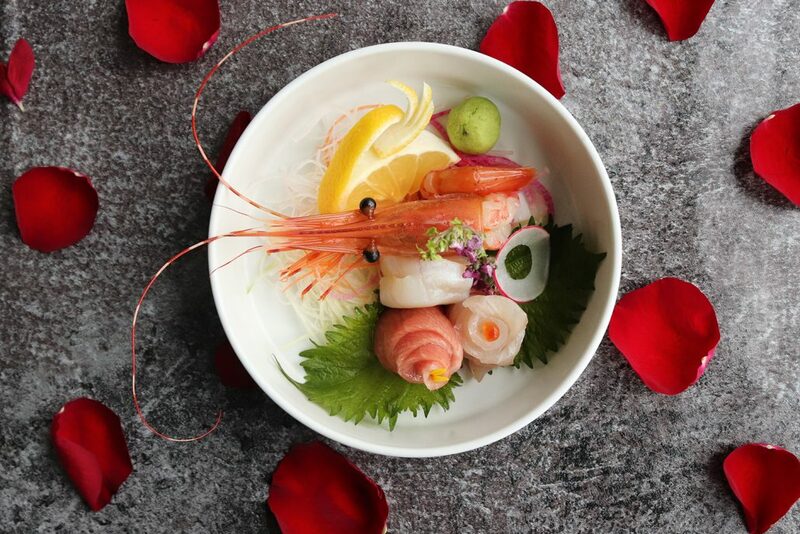 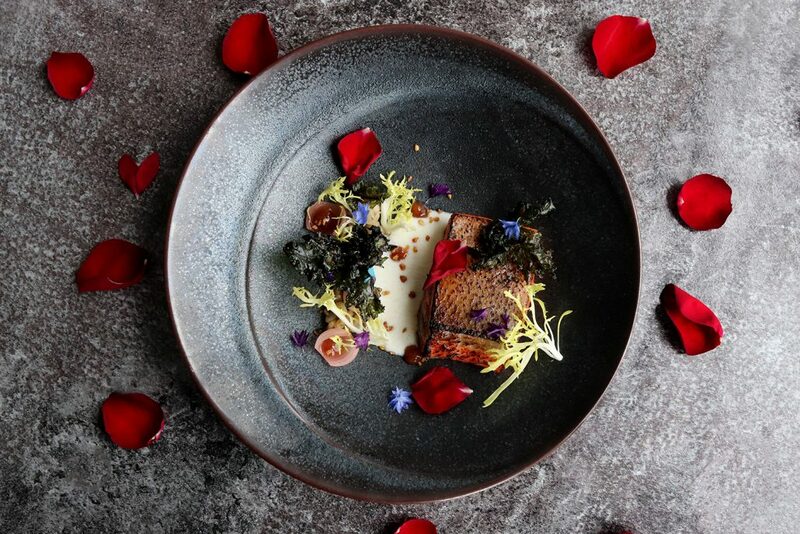 Indulge in our feature set menu, the five-course Valentines’ Day Kaiseki, and enjoy an unforgettable dining experience to pair with your favourite company. 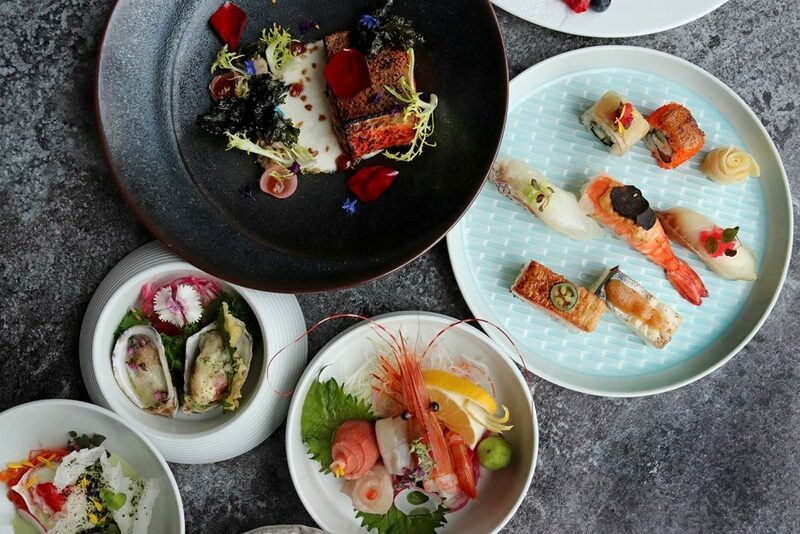 We are excited to present you a preview of our menu below. 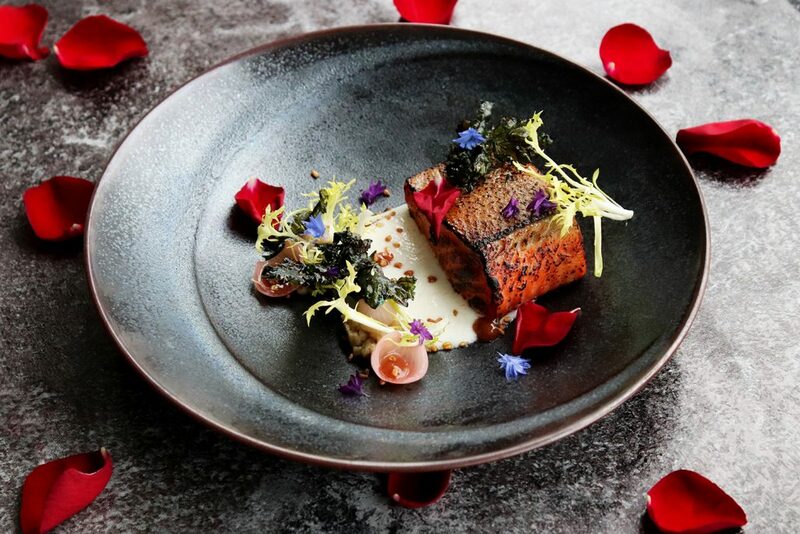 View the full Valentine’s Day Kaiseki menu here, and book early for best availability. 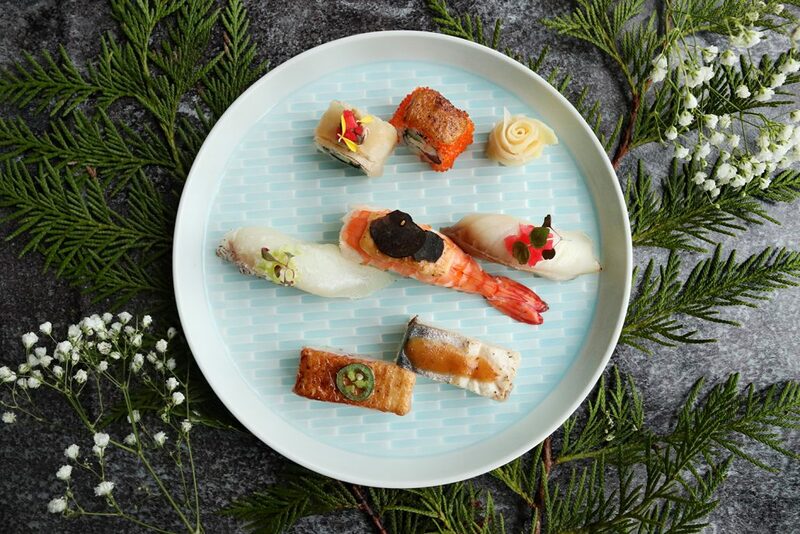 Our Valentine’s Day Kaiseki and Premium Sake Pairing are available exclusively on February 14th, for dinner only. 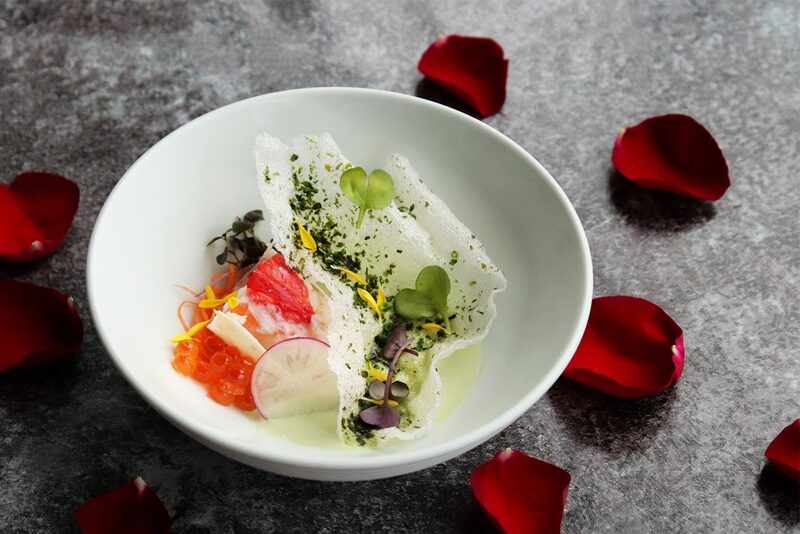 Chef Paul Chen sought inspiration from the colours of the spring season for this amuse bouche; he created this dish with the idea of a reconstructed cheese fondant in mind, and adorned the Brie Fondant with florals (osmanthus, lavender, rose) to enhance its overall vibrancy and fragrance.